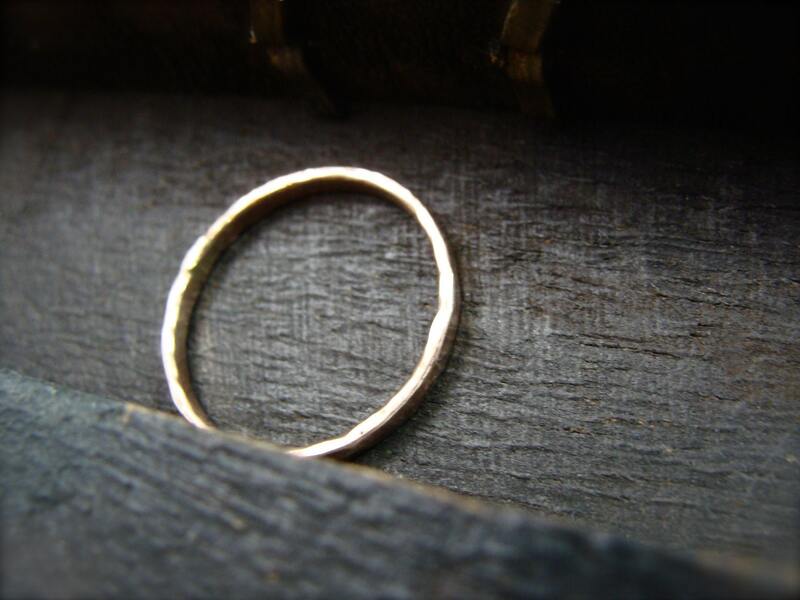 This solid 14k gold ring has been hand formed and textured to reflect the light. 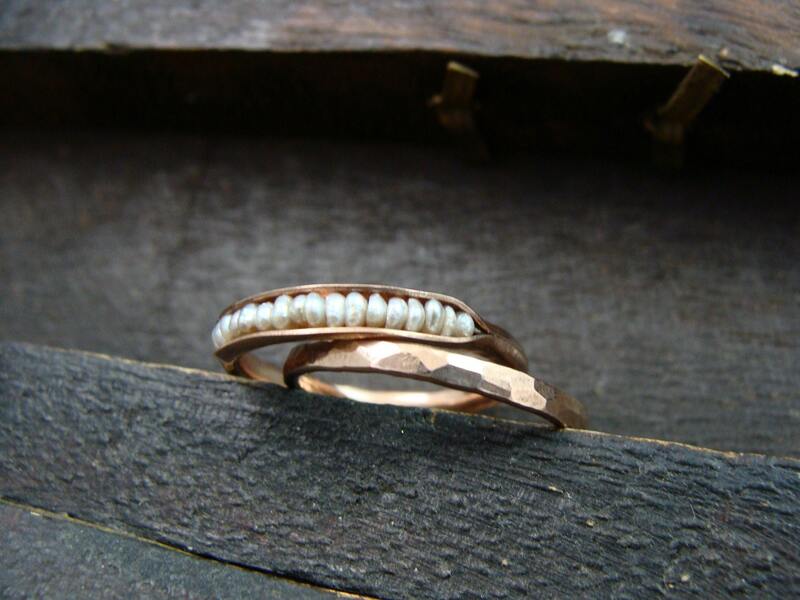 Beautiful worn as a wedding band, alone or stacked with other rings in your collection. 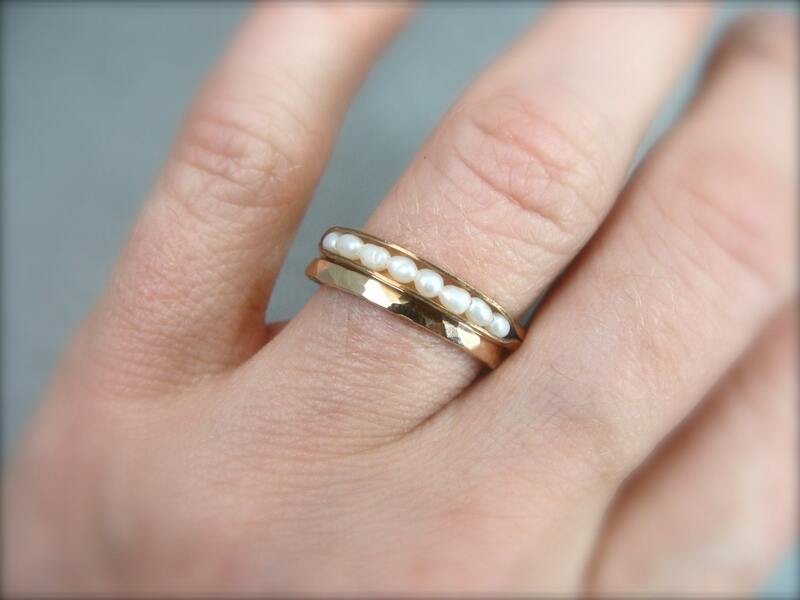 The band ring is shown with my petite solid 14k gold and pearl stacking rings. 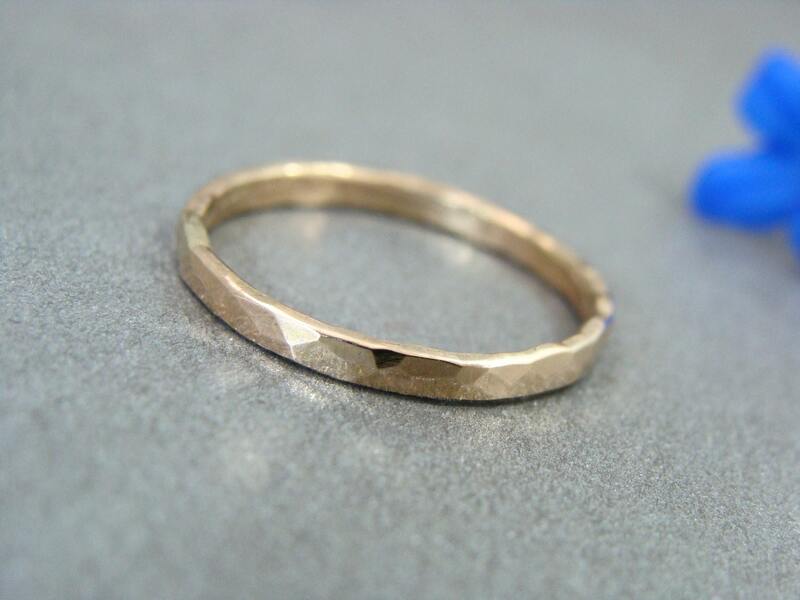 Ring is about 2 mm wide x 1 mm thick. 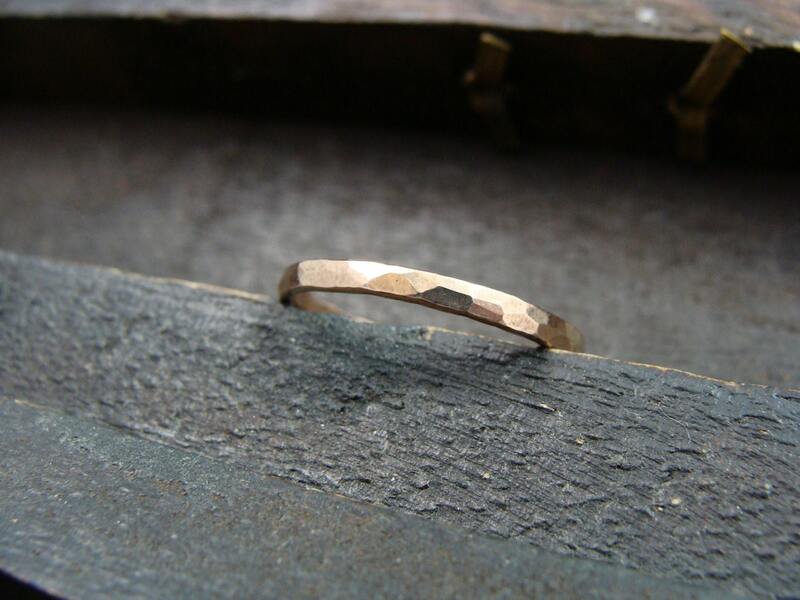 Also available in 14k rose or white gold.